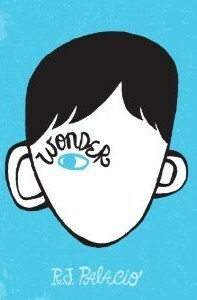 After enjoying the book Wonder by R.J. Palacio, I realized it was a choice for the 2013 Newbery Book Awards. 1. Wonder by R.J. Palacio. A superbly written book on Kindness and the choices we make every day. This is a book you will not be able to put down. Although its reading level is Grade 3 and up, the lessons inside apply to all ages! This book makes us stop and look at ourselves; evaluate where we are on the scales of kindness to everyone we meet. As Palacio quotes The Little White Bird by J.M. Barrie, "Shall we make a new rule of life...always to try to be a little kinder than is necessary?" Because to be kind, is a choice. This book is superb to read independently or as a Read Aloud to your family or students. Please read my reflections on this amazing book from my previous post. 2. The One and Only Ivan by Katherine Applegate. "Kindness and its ability to change lives shines through...this book. "- Kathi Appelt, author of The Underneath. 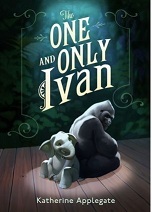 This is a touching story told in First Person Voice of a Gorilla named Ivan who lives in a small Mall Animal Show. Ivan remembers his youth in the wild Rainforest of Central Africa. "Growing up gorilla is just like any other kind of growing up. You make mistakes. You play. You learn. You do it all over again." He remembers his father teaching him "how to be kind, be strong, be loyal." Read this book to emphasize the Virtues of Kindness, Respect, Gentleness and Trust. It may be used to support and inquire about PYP Learner Profiles Caring, Principled, Open-Minded and Communicators. PYP Attitudes to connect with may include Empathy, Curiosity, Integrity and Respect. This story may be used as a literature link to the Unit of Inquiry: Sharing the Planet or How We Express Ourselves. It's reading level is for ages 8-10, but all ages will enjoy the determination and kindness demonstrated in this book! 3. 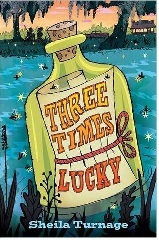 Three Times Lucky by Sheila Turnage "...dreams are shape-shifters. Get close, and before you can lay a hand on them, they change." What a lovely book about community, family and where you belong. Mix it in with hurricanes, trying to find a lost mother and solve a murder mystery, and you've got a story for middle grade students. Read this book to emphasize the Virtues of Responsibility, Caring, Loyalty, and Reliability. It may be used to support and inquire about PYP Learner Profiles Inquirers, Risk-Taker, Reflective and Thinker. PYP Attitudes to connect with may include Commitment, Curiosity, Empathy and Independence. This Newbery 2013 nominated book may be used as a literature link to the Unit of Inquiry Who We Are or Where We Are in Place and Time. It's reading levels is for Grades 5 and up. 4. Liar & Spy by Rebecca Stead "It's normal to be a little scared..." This is a book about family, friendships and dealing with things that scare us. Read this book to emphasize the Virtues of Friendliness, Confidence, Forgiveness and Truthfulness. It may be used to support and inquire about PYP Learner Profiles Risk-Taker, Thinker, Principled and Open-Minded. PYP Attitudes to connect with may include Confidence, Integrity, Empathy and Curiosity. This Newbery 2013 nominated book may be used as a literature link to the Unit of Inquiry Who We Are or How We Express Ourselves. It's reading level is Grade 4 and up. As with any of these titles, they make terrific Read Aloud books for your family or class. This post reflects on 4 of the 6 books my son and I are reading before we cast our vote for the next Newbery 2013 Award. I will keep blogging about the last 2 nominated books suggested by the King County Library System, and other Newbery 2013 nominated books in posts to come. We'd love to hear what you think of these books as you read and share them too. Happy reading!